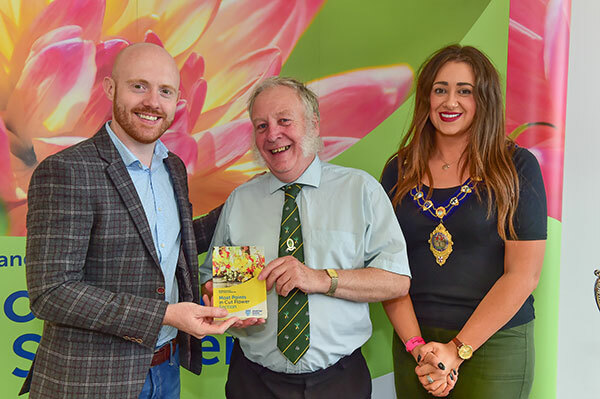 The Mid and East Antrim Flower Show gives the opportunity for local gardeners, bakers and floral artists, whether seasoned or novice, to help create a marvellous extravaganza of flowers, fruit and vegetables and home-baked delights. 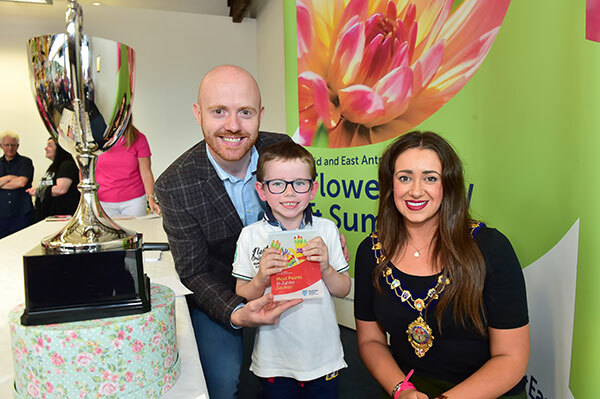 Hoping to appeal to as many of our green-fingered citizens as possible we have included a wide range of classes and creative competitions including The Children’s Section which encourages children up to 16 years old to showcase their budding talent. We strongly encourage both experts and novices to apply. All entries are welcome, whatever your skill levels so why not encourage neighbours, family and friends to have a go? 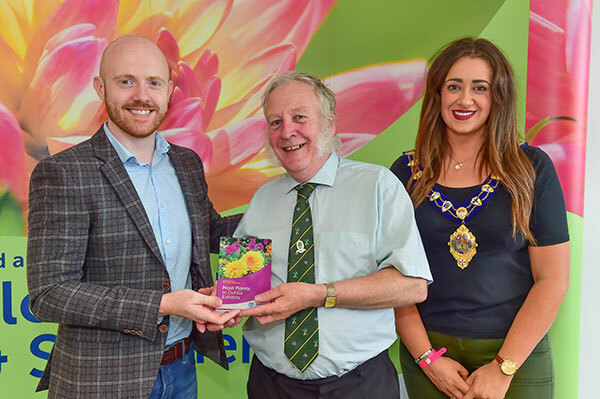 If you have never participated in a flower show before, why not take the opportunity to be part of Mid and East Antrim Borough Council’s Annual Flower Show? Alongside the Flower Show on Saturday 19 August there were lots of activities on offer at our Summer Fair. All entries must be submitted no later than 4pm Thursday 16 August. Entries will not be accepted after this date. Exhibits can be staged between 6pm to 9pm on Friday 17 August and on the morning of the show between 8am to 10am. We would ask that care is taken by exhibitors using the facilities in Larne Market Yard and that all materials be cleared away after set up. 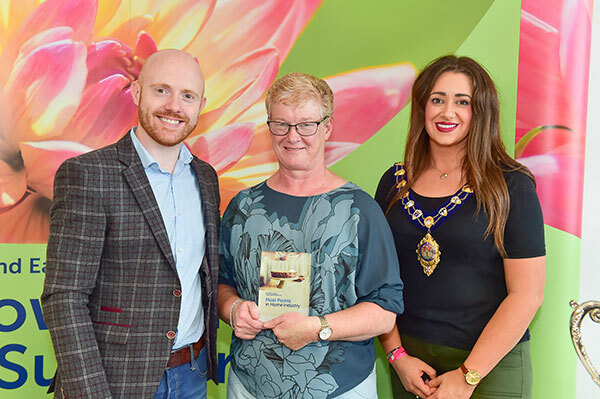 Exhibitor cards will be available on Friday 17 August from 6pm at Larne Market Yard and on Saturday 18 August from 8am. Exhibitor cards must be completed by the exhibitor and placed face down at each exhibit prior to judging. It is the responsibility of the exhibitor to ensure the correct card is placed at the relevant exhibit. Exhibits must be staged, ready for judging by 10am sharp on the morning of the show. Judging will commence at 10.30am. Only Judges and Stewards will be allowed to remain in the hall. 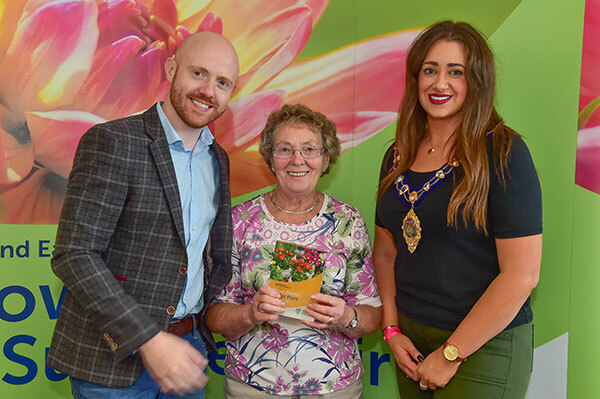 Doors to the Flower Show exhibits will open to the public at 1pm and presentation of prizes will take place at 3.30pm. There is no restriction on the number of entries which an exhibitor may show in any one class. An exhibitor may be awarded more than one prize in any class unless otherwise stated. All points earned will count towards allocation of trophies. 1st = 3 points, 2nd = 2 points, 3rd = 1 point. In the event of a tie, the award will be awarded to the exhibitor gaining the greatest number of first places. 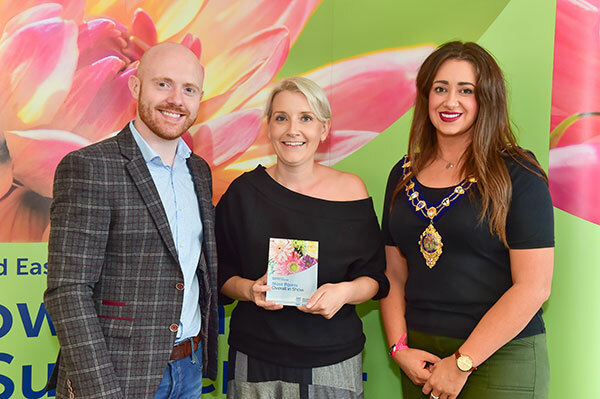 Any complaints or objections, in regard to exhibits or any other matters, must be made in writing to the Head of Parks and Open Spaces, Mid and East Antrim Borough Council. All exhibits will remain the property of the exhibition and may only be removed following the presentation of awards at 3.30pm. Exhibits not removed by 4.30pm will be disposed of at the discretion of the organisers. Mid and East Antrim Borough Council will not be responsible for any damage to personal property, theft or personal injury at this event. Vases required for the cut flower section will be provided by the organisers. However, there are only a limited number of display boxes for roses and pansies. Those entering the Flower Arrangement Section should bring their own containers, vases etc. The organisers trust that all exhibits in the cut flowers, pot plants and vegetable sections have been grown by the exhibitors. 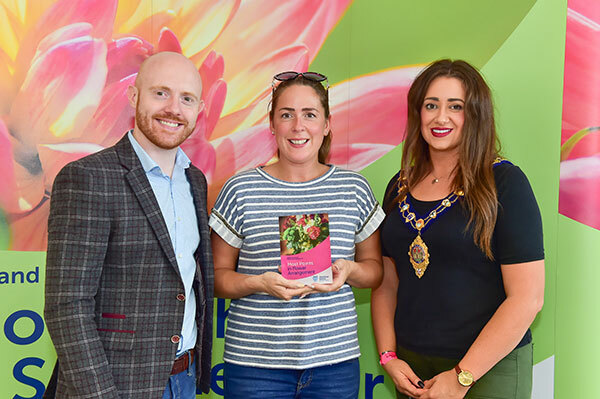 The rules for judging vegetables contained in the current edition of the Royal Horticultural Society’s publication, The Horticultural Show Handbook will be used. The Grow Your Own Selection is four classes of vegetables taken from classes 45 to 70 inclusive. The vegetables must be displayed within an area of a maximum width no greater than 600mm. (Back board optional). Please refer to the RHS Horticultural Show Handbook for guidance. Please note parsley is not permitted as a decoration as it a class (58). Failure to abide by any of these rules will lead to disqualification.